The brilliance of great art is in its ability to craft a world of its own. This is all the more true for cinema, because the filmmaker takes us on a journey into a different world with each of his movies, as we acquaint ourselves with people of that world, sharing their joy and sorrow as we are made to feel a sense of belonging. However real it may feel like (it may even be based on a true story), there always artifice in cinema, but a great artist will never let you feel it; we would always be invested in his world and his characters. 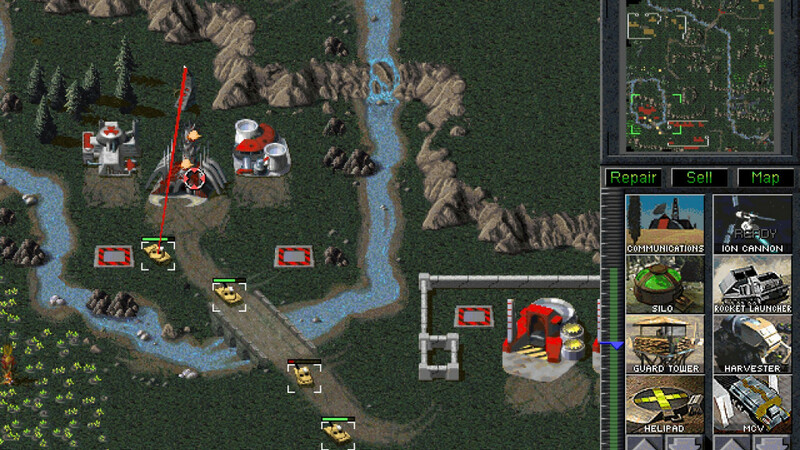 However, there are instances where a director makes a creative decision not to completely mask the artifice. We, the audience and the characters in the movie are both are made aware of the illusion of the art, as the director breaks down the fourth wall. To put it simply, the characters know that they are fictitious and the audience is made aware that they are only watching a movie. Sometimes, it is done so that the character can talk directly to the audience; sometimes it is done to make a subtle allusion as to the artifice of the work. Either way, it is not easy to pull off a breaking-the-fourth-wall moment, because it can easily backfire and feel gimmicky. But when executed well, it is a stroke of genius which can leave the audience dumbstruck. 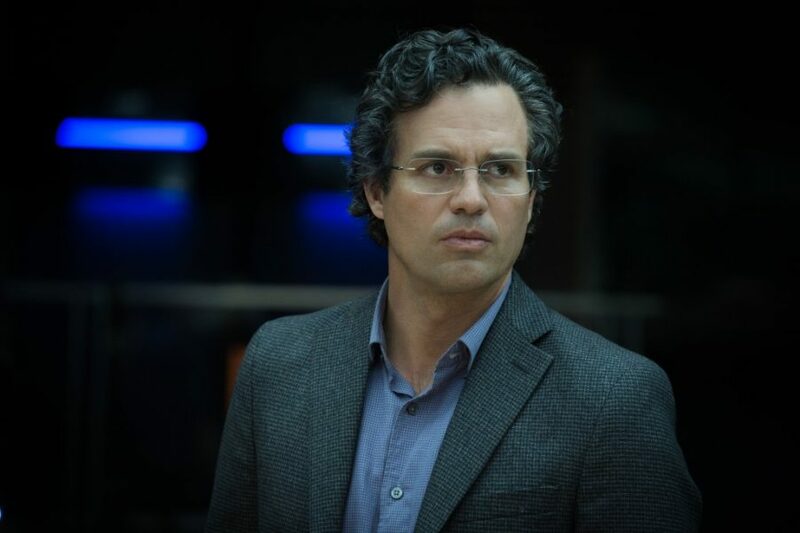 Here is the list of top movies which breaks the fourth wall. I know that the first rule of fight club is that you don’t talk about ‘Fight Club’, but ironically, it happens to be one of the most talked about movies in cinema history. The tale of Tyler Durden and his army of ordinary men wrecking anarchy in a commercialized capitalistic world, ‘Fight Club’ is one of the most culturally significant movies of the 1990s. David Fincher brings in a sense on raw exhilarating energy into the movie, as we connect to the story of a man bored to death by his nondescript existence and how he responds to his predicament. Fincher all but admonishes the audience for our meaningless lives and how we are content with them; he drives home the point that consumerism has taken over lives and how we are all just nameless, faceless droids in the larger scheme of things. So, when he breaks the fourth wall, it is not a gimmick; when Tyler looks straight into the camera and bemoans your sorry lives, he wants you to feel your misery, one that you might have kept bottled deep within yourself to rationalize your actions. He wants you look up and take control of your life. A stroke of genius, if you ask me. Mary Harron’s cult horror classic is not just a thrilling piece of cinema, it is also a thematically rich character study of a man trapped within his own obsessions and paranoia. Patrick Bateman is a rich, young and suave Wall Street executive, a man who has a perfect life so to speak, but he is neither happy nor content. Bateman has constructed the perfect façade that he drapes his life with, but beneath the surface, we see an egotistical, obsessive-compulsive, mentally disturbed maniac with homicidal tendencies. And slowly over the course of the movie, we see him unraveling as the façade is peeled off revealing an unstable, uncontrollable man consumed by his rage and delirium. An allegory to the corporate alienation that people go through in an ultra-competitive world, the ultimate brilliance of ‘American Psycho’ is that much like its cinematic inspiration ‘Taxi Driver’, it makes you feel for its lead character. 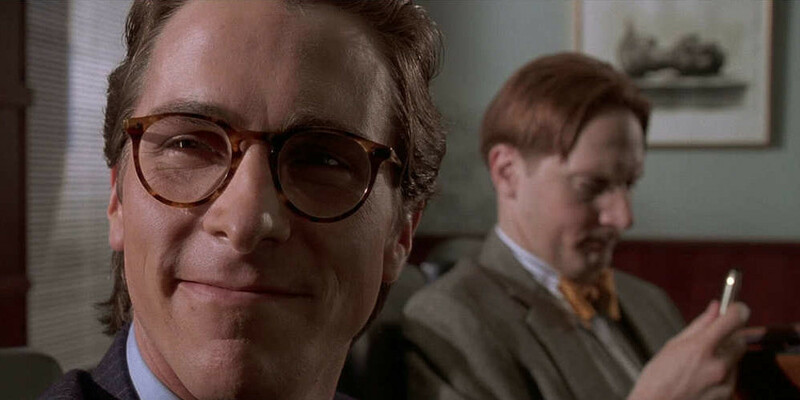 And that is why Bateman breaking the fourth wall assumes all the more significance; when he explains his life, his likes, his dislikes and his actions to us, it is not just for dramatic effect, he wants us to understand him, he is hoping for our acceptance and our empathy. 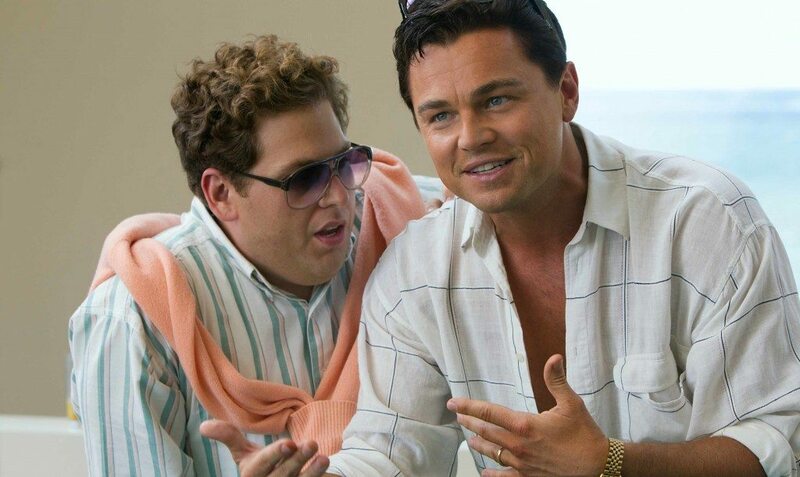 ‘The Wolf of Wall Street’ is an understandably divisive film; to some people, it’s too flashy and over the top while for some others it’s moral compass is flawed. I agree with both the assessments, but cinematically, it is the most daring and audacious Martin Scorsese has been since ‘Goodfellas’. Scorsese is a very courageous filmmaker, but ‘The Wolf of Wall Street’ is a true testament to the extent he is willing to go for his craft. A satirical comedy-drama about the real-life convicted Wall Street broker Jordan Belfort, ‘The Wolf of Wall Street’ is hilarious, witty and incredibly addictive. Scorsese has never been about dishing out life lessons through his cinema; they have always been about people, their lives and the perversity of fate. And in ‘The Wolf of Wall Street’, we see a despicable group of men doing despicable things and having a great time, without any retribution. And what’s more, we the audience root for them; in fact, we would love to be a part of it. So, when Belfort breaks the fourth wall throughout the movie, explaining how things work, almost sneering at the audience for not being in the loop of things, it serves multiple purposes – Scorsese underlines the irony of Belfort’s life and how rights, wrongs and morality are just human constructs that can easily be manipulated. Belfort is conning us just like conned his other victims and like all them, we are naïve participants. Brilliant. One of the greatest gangster films ever made, ‘Goodfellas’ is Martin Scorsese at his finest, exploring the landscape of organised crime in New York amidst the post-war economic boom. From the brilliant opening line – “As far as I can remember, I always wanted to be a gangster” – to the chiselled narration throughout, Scorsese not only intends the movie to be an exploration of the dynamics of organised crime, he goes further ahead into the pop-culture fantasy and heroism of the mafia and what makes it so attractive. Henry Hill wasn’t tragically sucked up into a world of crime due to the curse of circumstance, he wanted to be a gangster; he was attracted to that life and he actively sought it out. So, when Scorsese forays into Henry’s mind and others like him, he wants us to know that ultimately it is a fantasy. While there is no overt breaking of the fourth wall throughout the movie, Henry’s narration assumes a different dimension when he looks straight into our eyes. He knows he is living a dream – his own version of the cherished American Dream – and we can feel his anguish as he peers into our eyes as he wakes back to reality, and back to being a nobody. Alfred Hitchcock’s most famous and probably his most controversial work, ‘Psycho’ is a seminal piece of cinema which gave new meaning and depth to the slasher-horror genre. After a young woman steals money from her boss and takes off, ‘Psycho’ follows her boyfriend and her sister’s frantic search which leads them to the quiet and empty Bates Motel, run by the mysterious Norman Bates. As usual, Hitchcock explores the pervasive irony of love, romance and affection, as we see the lives of a group of flawed individuals slowly derailing. With a very simple premise, Hitchcock subverts the conventional notions of an ideal life and the idea of happiness as a young woman meets with a tragic end in her yearn for marriage, family and stability. Arguably the first psycho-analytic thriller in cinema history, ‘Psycho’ is an exploration of the human psyche and probably gave us cinema’s greatest psycho – the timid yet terrifying Norman Bates. And at the end of the movie, when Bates looks straight into our eyes, a wicked smile growing on his face, the eerie realization sets in that he got away with it. It is an unforgettable moment, and Hitchcock brilliantly ensures that Bates’ cold smile will never stop haunting our minds. One of the great auteurs of cinema, Federico Fellini is a true master with a distinct cinematic vision and aesthetic. And while ‘Nights of Cabiria’ is rarely mentioned among his greatest works, it happens to be the one that moved me the most. Fellini’s cinema has a distinct feel to them; unlike his neo-realist counterparts, his cinema has weird, quirky, almost cartoonish characters, yet in a very real, melancholic and almost dark setting, and it is fascinating how he works within these dichotomies. Cabiria is a young Italian woman with a penchant for picking the wrong men, who often misuse her naivety and need for affection to con her. She is a prostitute who wants to leave the business, dreamily hoping that her knight-in-shining-armor would take her off her life of misery and loneliness. 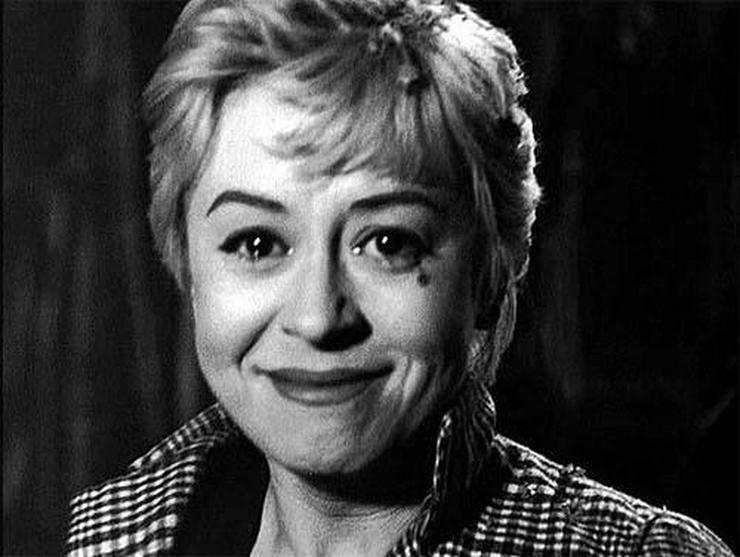 Unlike a lot of Fellini’s lead characterizations, Cabiria is not an intellectual, she is an ordinary woman trapped under the curse of circumstance and it isn’t long before we begin to deeply care for her, despite her eccentricities. And when it appears that she has finally found the man she deserves, we are happy for her. That is until he breaks her heart, leaving her in tatters. We want to hold her, comfort her, and tell her it’s okay. But, when she looks straight at us in the final shot, smiling and nodding through her tears, we know she’s okay. She knows that we care for her, and she reassures us that she is fine. It is an undeniably poignant and emotionally powerful moment, one only a genius like Fellini could pull off with finesse. Woody Allen is a cinematic genius, and ‘Annie Hall’ is his magnum opus, a hilariously uninhibited exploration of the relationship between Alvy Singer and Annie Hall. Arguably the greatest romantic-comedy in cinema history, ‘Annie Hall’ set the benchmark for rom-coms ever since, while giving us a sumptuously treating us to the quirky wit and wisdom of Woody Allen. Alvy’s neurotic relationship with Hall is laid out effortlessly as we are faced the nature of modern romance, love and relationships. Allen, over the course of his prolific career had a lot of duds, but at his best, nothing comes close to his comedic timing and brilliant dialogues. With ‘Persona’, Ingmar Bergman crafted one of the greatest movies of all time, a complex, surreal psychological drama that burns itself into your psyche. Following the lives of a supposedly mentally ill stage actress and the nurse assigned to take care of her, ‘Persona’ unveils the ultimate human mystery, that of existence and what it means to us. An exploration of the nature of identity and reality, ‘Persona’ goes beyond the conventional plot and narrative tropes and becomes a visceral examination of the human mind, and what constitutes our conscious being. Being one of the most analysed and dissected movies ever made, there are multiple analyses and explanations of the movie, but not one of them can accurately capture its soul, and that is exactly how Bergman might have wanted it to be. He uses the power of ideas and images to conjure up a reality that speaks as to the farcical nature of art itself. To that effect, there are several instances where the artifice is explicitly revealed, where Bergman intuitively breaks-the-fourth-wall. The very first shot of the movie is a projector firing up, most likely alluding to the beginning of a movie. But, the more explicit meta-moment comes towards the end of the movie, where we catch the glimpses of a film-crew as the nurse is leaving. ‘Persona’ is not an easy movie to comprehend, and I admit I still haven’t managed to scratch beneath the surface of Bergman’s magic, but its craft and profundity is unarguable. The audacity – the sheer audacity of the genius that Michael Haneke is! In ‘Funny Games’ – one of his most controversial films – Haneke invites us in, makes us all cozy and comfortable, before he goes on to give us a strong admonishment for watching the very film he invited us into. There are numerous instances in ‘Funny Games’ where I wished I had walked away. But alas, I couldn’t; just as Haneke predicted, I was enamored by what I was being shown, and despite the obvious discomfort, I continued being a willing partner in the perverted game that Haneke was playing. A psychological home invasion thriller, ‘Funny Games’ follows an upper-class bourgeoisie family on a holiday, where they are held hostage by two young men and tortured with sadistic games. Haneke takes his inspiration from classic home-invasion exploitation films and turns them on their heads as he mocks the culture of consumable violence that has enveloped our cinema and entertainment. A response of sorts to the stylized and “entertaining” violence in ‘Pulp Fiction’, Haneke repeatedly breaks the fourth wall as he mocks our obsession with brutality and how our media and entertainment industry has made it look cool and hip for the masses. Unlike most other movies in this list, where the meta-moments are intended to make the movies more personal and relatable, the 4th-wall-breaking moments in ‘Funny Games’ is downright terrifying. The two boys taunt us in the same way they taunt their captives, involving us in their perverse games, as they feed into our dark fetish for violence. But the defining moment in the film occurs after the wife shoots and kills one of the boys; the other boy simply picks up the TV remote and rewinds the time back to the moment his friend was shot, leaving us horrified. Their fates where already sealed, there was never any hope for the family, and with this brilliant scene, that haunting realization hits us. Alejandro Jodorowsky is arguably the most profoundly absurd and mystical filmmaker cinema has ever seen; never in the history of cinema have we seen anybody like him and we probably never will. Masterfully intertwining dreamy surrealism with a mishmash of eastern and western philosophies and mythologies, Jodorowsky always manages to create something wildly original. And the ‘The Holy Mountain’ is his magnum-opus, a spiritual successor to the spectacular debut ‘El Topo’ that not only surpasses the absurd imaginativeness of the latter, but is also one of the most exhilarating and psychedelic cinematic experiences you’ll ever have. A fantasy-adventure about a group of men and women on a quest for immortality, ‘The Holy Mountain’ is laced with grotesque imagery and absurdist sequences that may be challenging for some, but to those willing to invest in Jodorwosky’s farcical world, it is a spiritual experience unlike any other. But, what ultimately makes ‘The Holy Mountain’ an unqualified masterpiece is the last sequence; Jodorowsky, who plays The Alchemist, looks straight into the camera and orders, “Zoom back, camera”, and the camera pans out as a film set comes into the frame, revealing that it was just a movie. It is a moment of pure genius, arguably the best breaking-the-fourth-wall moment in cinema history. Jodorowsky, after taking us on a weird and absurd adventure, asks to return to reality as the real world awaits us. An allegory on the idea of existence under political, religious and psychological captivity, ‘The Holy Mountain’ is an incredibly powerful and provocative piece of cinema.